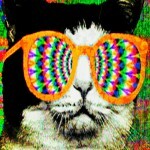 Survey Says: Many FM-area cats are tripping on LSD. 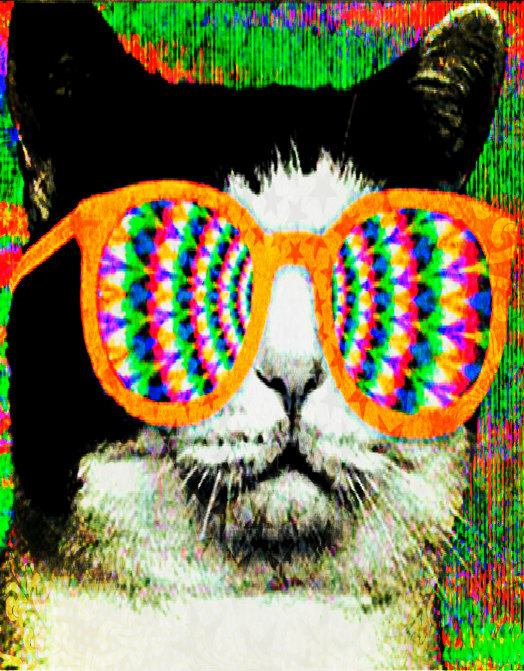 Fargo, ND – Just as many local residents have long suspected, a recent survey has shown that many cats in the Fargo-Moorhead area are taking LSD on a daily basis. Ms. Caramella Brandybuck of the National Feline Drug Taskforce is reporting that acid (LSD) has been pouring into our area from Minneapolis. The main kingpin drug lord responsible for the illicit trafficking has been a cat who goes by the name of Mr. Kitty (click on pic to see Mr. Kitty). If you’ve been thinking your cat has been acting abnormally odd of late, this newly available information might be very beneficial in helping spread awareness of this latest disturbing trend. How can you tell if your cat is tripping on acid? Similar to humans, cats will sit and stare for hours with large dilated pupils, then suddenly jump sky high and totally freak out! During acid trips, you may not see your cat(s) for daze on end. Hallucinations are very common, some of which they will try to attack as threatening phantom menaces. If you ever try to stroke your cat while it is tripping out, or even give it a massage, and the reaction you get is not quite what you’d normally expect, your cat may very likely have its head in the clouds, while seeing you through a kaleidoscope. Some creative cats have even learned how to scam the system and receive monthly social security checks to help finance their new-found favorite substitute for catnip. If you think your cat is tripping on acid, please do not hesitate to call the National Feline Drug Taskforce at 1-800-CAT-TRIP.